Nushrat Bharucha is a Pilates girl. This is something we already knew through Instagram! How you might ask… well, celebrity Pilates trainer Namrata Purohit has shared posts or Instagram stories with the Sonu Ke Titu Ki Sweety girl numerous times. But being a regular in Pilates is not the only thing that Nushrat does to keep herself in that perfect shape she is currently in. In a recent interview with IANS, Nushrat revealed how following a proper diet and eating meals at the right time plays an important role in staying fit and healthy. In the interview, she stresses on the point that being fit much more than being size zero. Being a part of the glamorous world surely requires B-towners to eat low calorie foods and being very particular about their fitness regimes. But this doesn’t infer that you have to starve yourself and force yourself to achieve a size zero. Also read: Super Flexible Kangana Ranaut’s Fitness Secrets Revealed! 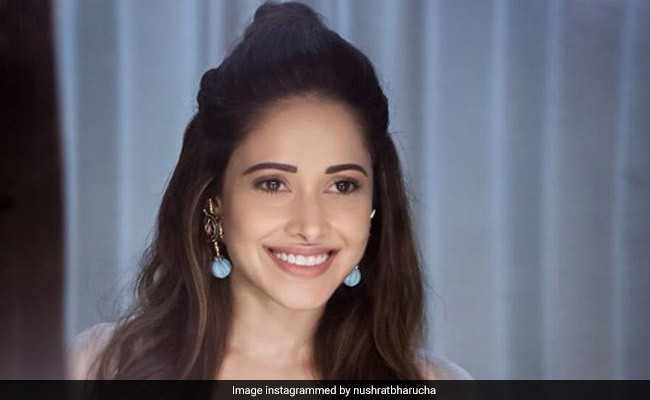 According to Nushrat Bharucha, it is important to maintain a balance. Every individual should understand what works best for his/her body. What you eat and how you exercise should ultimately make you feel good from the inside. Your diet and exercise should make you feel energised and not lethargic at any point of time. Motivation is the key to following diets keto diet or low-carb diet or paleo diet, etc. These diets have gained quite some popularity in the recent times as they can help in achieving quick weight loss. Also read: Gymaholic Hina Khan’s Fitness Videos Will Leave You In Awe Of Her! Meals play an important role in a determining a person’s overall health. Nushrat Bharucha feels that it is important to eat right. Millennials today are constantly on the go and find it difficult to take out time for themselves, especially their meals. Skipping meals is a “bad idea” according to Nushrat. Forgetting to eat during your meal time can lead to weight gain in the long run. Many people tend to miss breakfast since they are always running late for meetings or are missing deadlines. This however, has been found to be linked with larger waist size and gain in weight. Read here to know how skipping breakfast can cause weight gain. So, forget the size zero idea and follow a healthy lifestyle for holistic health and well-being. We know Nushrat Bharuch follows this fitness mantra, then why can’t you? !